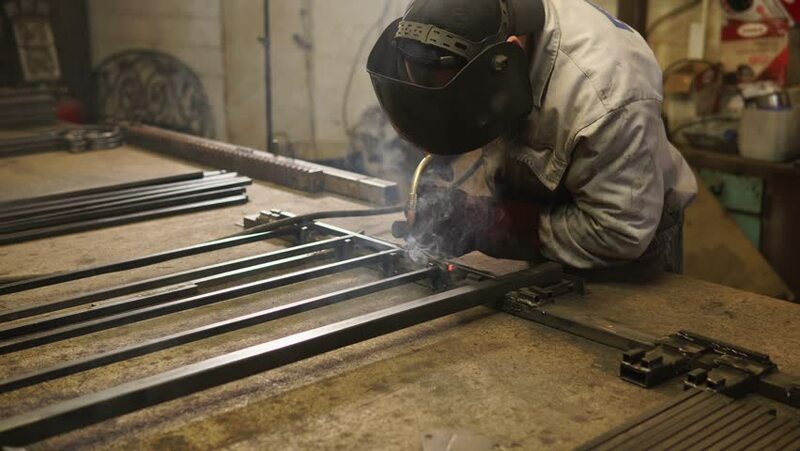 Skilled welder is using welder machine on metal rods on his working place. He is working very carefully and accurately. hd00:08Man in uniform stands by the table with a welding machine. He is welding together several metal tubes.